Made from New Zealand Friesian cow skin on the outside, we handcut each pair so that the natural spots in these hides are matched as perfectly as possible. 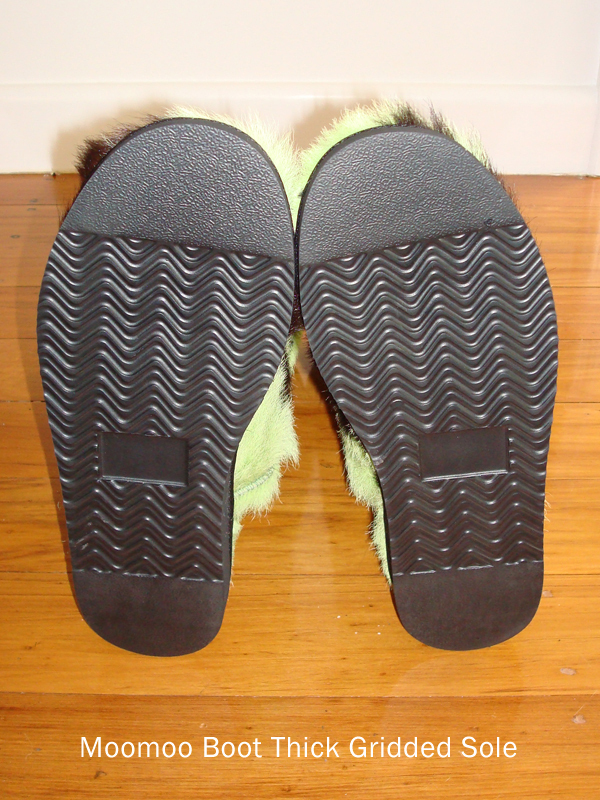 We allocate one big baby moomoo hide to one pair of boots so that the texture and colouring is consistent per pair. Then the boots are lined with 100% woollen fibre and finished with a thick gridded sole to insulate you girls from the big chill. Can be worn outside in good weather conditions. Our Moomoo beauties look great with drainpipe jeans or leggings and are foot stompingly out there. 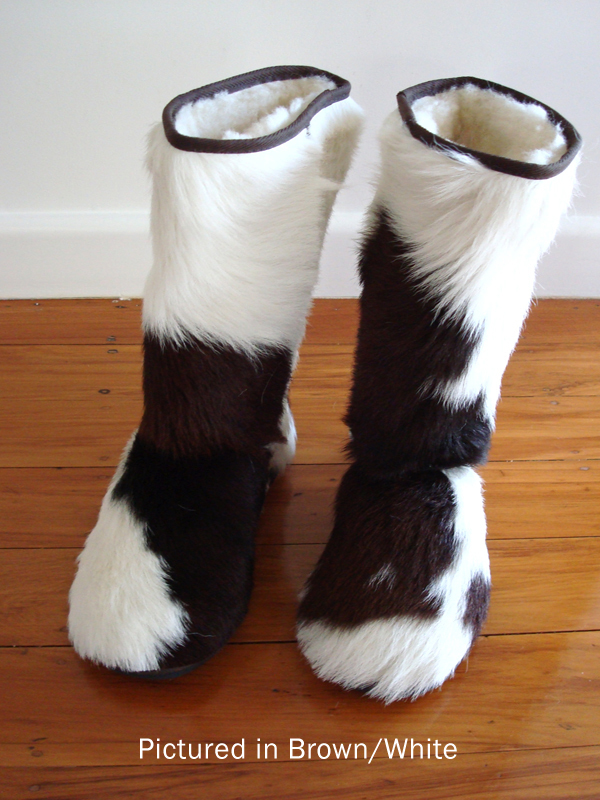 Mooove aside Ugg boots, the Yeti boots are in town! • Because every pair is unique, the natural spots appearing on the cow skin and the texture of the hide will differ between boots.